In 1949 Mao Zedong hoisted the red flag over Beijing’s Forbidden City. Instead of liberating the country, the communists destroyed the old order and replaced it with a repressive system that would dominate every aspect of Chinese life. 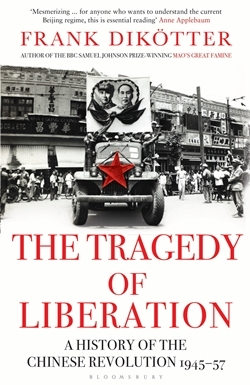 In an epic of revolution and violence which draws on newly opened party archives, interviews and memoirs, Frank Dikötter interweaves the stories of millions of ordinary people with the brutal politics of Mao’s court. A gripping account of how people from all walks of life were caught up in a tragedy that sent at least five million civilians to their deaths.